HTC phones are extremely popular and with so many models available they have conquered a large share of the smartphone market. Currently HTC smartphones can be found with either Android or Windows Phone installed, and these high-end devices are designed to be extremely easy to use. One of the most popular HTC smartphones is the Wildfire, a mid-range handset that is ideal for the majority of mobile phone users. It’s relatively compact, features the Android operating system and is extremely easy to use, offering mobile Internet and email and a massive selection of apps from the Android Market. At the other end of the scale is the HTC Desire which on release was a high spec smartphone running Android. More advanced devices have since been released but this iPhone competitor is one of the most popular phones that HTC has released in recent years. 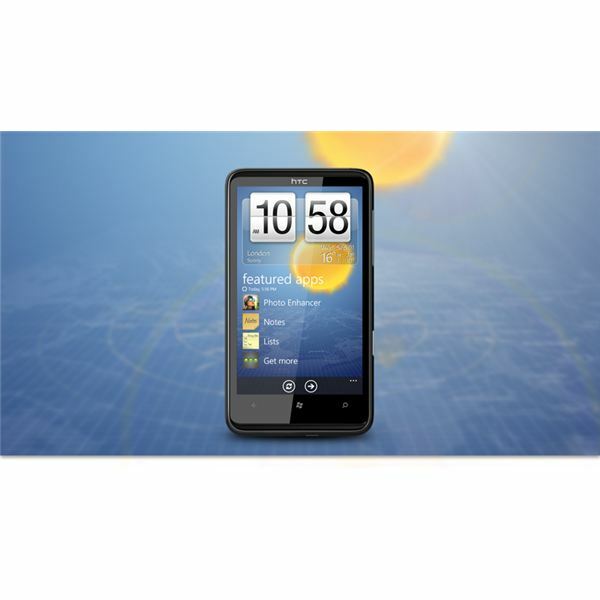 Another popular device is the HTC Droid Incredible, a great phone that features Android and offers a wealth of connectivity options. As with most Android phones this handset offers built in copy and paste and access to the Android Market, and some versions include the Swype text interface method, a new way of inputting text via the software keyboard. If you’re the owner of an HTC Aria, you should know how easy it is to use this device thanks to the Android operating system and HTC Sense user interface. With so many features on offer, however, you would be forgiven for having missed a few tips and tricks – and there are plenty to try! Another top HTC Android phone is the Thunderbolt, which can be used on the 4G mobile Internet network for fast web browsing and email. Whether you have just purchased a Thunderbolt or have had one for a while there are plenty of useful features that you might be interested in discovering, such as how to put a call on hold, for instance, or how to go about applying personalization options to your handset. If you’re the owner of a Windows Phone device from HTC (such as the HD7, Surround or Mozart) you may not know that there are a set of free apps from HTC specifically for your phone. These offer some interesting new options, such as managing how your phone rings when it is in a pocket, a feature that is determined by your phone’s light sensor. Once you have got to grips with the basic use of your HTC phone it is time to start enjoying it for what it is – a handheld computer! One of the great things about smartphones is that they connect to the Internet, and with tethering you can use this connection to access this feature from your desktop computer or laptop, using your HTC phone as a modem! Customization options on Android devices are considerable, and thanks to the presence of HTC Sense on smartphones from Android these are improved further still. Themes, ringtones and background images can be altered with ease. A more specific look at how to alter wallpaper and themes on phones equipped with HTC Sense will allow you to uncover the wonder of scenes, preset themes that already feature useful widgets and screens that fit a particular type of use; for instance, one is called “Social” and offers lots of messaging and social networking widgets. Widgets on your Android phone come in different shapes and sizes. There are the standard desktop shortcuts that can be used to quickly launch a favorite app and there are the custom-built widgets that come with certain apps that you install. These can all be added in the same way, and offer great usability enhancements. You will have seen mention of HTC Sense above; this is the user interface overlay provided by HTC to make their Android phones appear uniform and recognizable. Other Android phone providers offer their own UI options but none of these are as impressive as HTC Sense which is really easy to use and well integrated with Android. If you’re looking for an app that isn’t in the Android Market or simply don’t have access to this resource (you may not want to associate your credit card with your Google account, for instance) then you will need another means of installing apps. Fortunately there are plenty of alternatives but they don’t feature the same ease of installation as the APK installer files. Moving files between a mobile phone and a computer is a common task. You might wish to sync music or photos, video clips or podcasts or even use your Hero as a portable storage device. This will be possible using just a USB cable and switching your Android phone to the correct mode for sharing and transferring files. One useful desktop utility that can help you sync data between an HTC phone and your computer is HTC Sync to Sense. Available directly from HTC, this application can be installed to a Windows PC and is used for managing the transfer of data to or from an HTC handset. No mobile platform can be complete without a selection of apps to install from an online library. Some might be free, others might be paid-for, but all will deliver extended features to your phone, perhaps in the shape of additional functions, games or mashups of different types of data. Adding and removing apps is easily achieved on an HTC Android phone.